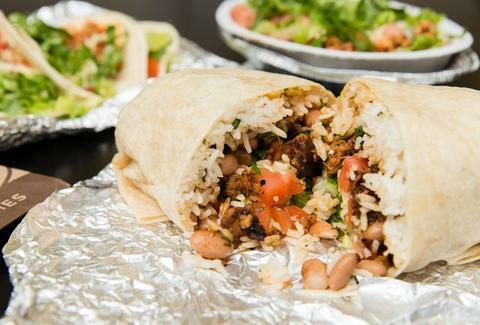 It seems Chipotle has been trying to stave off financial doom ever since an E.coli outbreak in many of its restaurants gained national attention in 2015. But as misfortune would have it, the burrito peddler reported dismal results again in its latest earnings report on Thursday, with quarterly profits down 76% when compared with this time last year. One of the most galling stats revealed in Chipotle’s earnings report, the company’s net income across the brand declined 95% in 2016, crumbling to $22.9 million from $475.6 million last year, according to USA Today. Let’s not pull any punches here: 2016 was a dismal year for the once industry-dominating Chipotle. The company’s total revenue declined in 2016 by 13.3%, cresting at a total of $3 billion. This amounted to a total sales decline of 20.4%, accounting for a little more than a fifth of the company’s expected sales for 2016, if you’re into remedial math. The gloomy news was all precipitated by Chipotle’s preliminary fourth quarter results, which made the company’s chief executive Steve Ells admittedly “nervous.” In January, Ells noted the exorbitant cost of avocados, in addition to a slate of television ads meant to restore public trust in the brand, as the culprit for upsetting the returns. Chipotle’s bad news actually gets worse, when factored into a “border tax” that could potentially be enacted by the Trump administration. The president’s stated desire to impose a 20% import tariff on Mexican goods to fund the construction of a wall along the Mexican border would prove disastrous for Chipotle, which is dependent on the country’s avocados to produce its trademark guacamole at an affordable cost. But there’s actually a sliver of good news for Chipotle fans: Same-store sales last December increased by 14.7%, and revenue for the fourth quarter actually increased by 3.7% compared with last year, topping off at $1 billion. Moving forward in 2017, Ells says the company plans “to continue to simplify and improve our restaurant operations, utilize creative marketing to rebuild our brand, and further the roll-out of our digital sales efforts." Let’s hope that plan still includes free burritos.